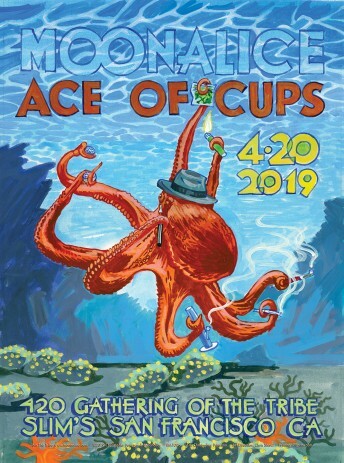 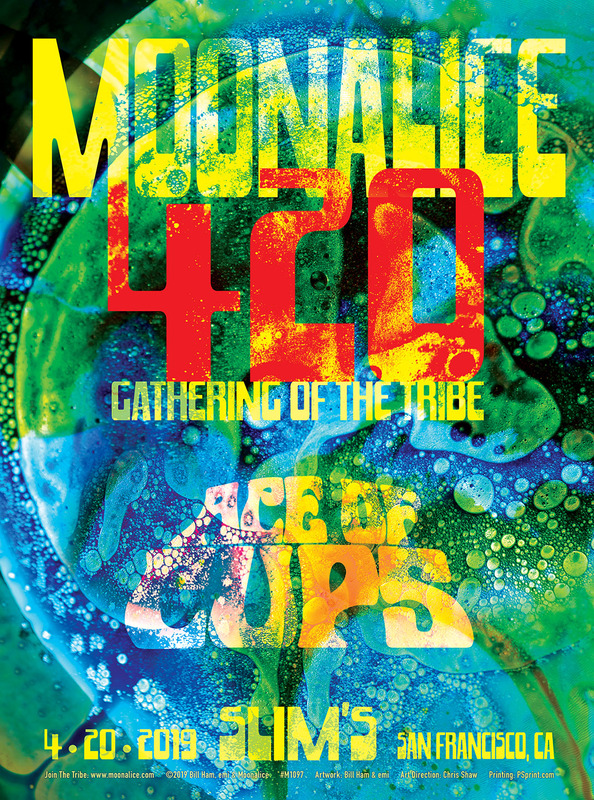 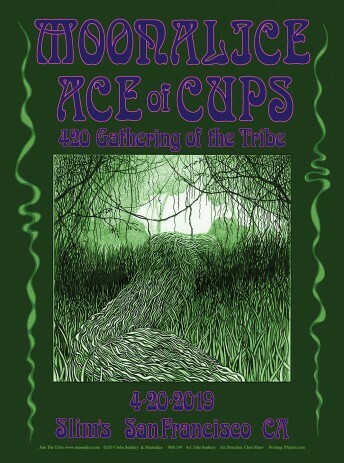 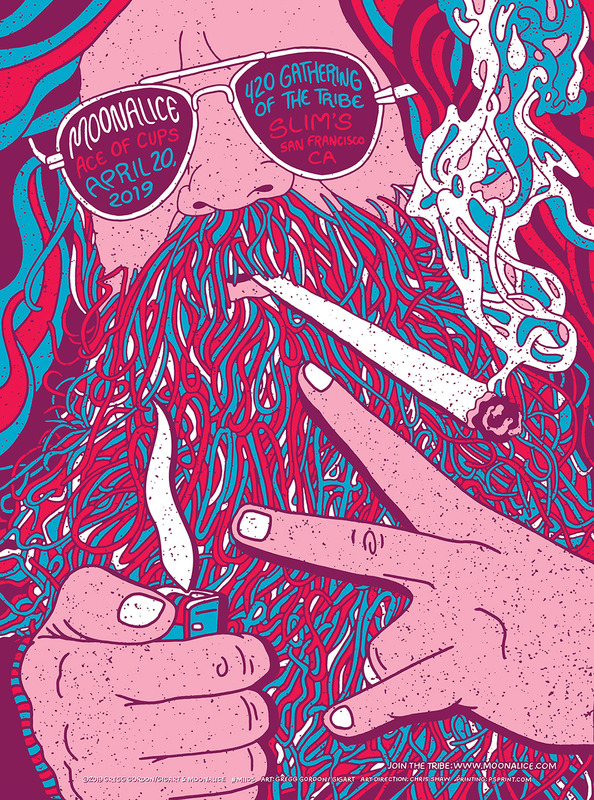 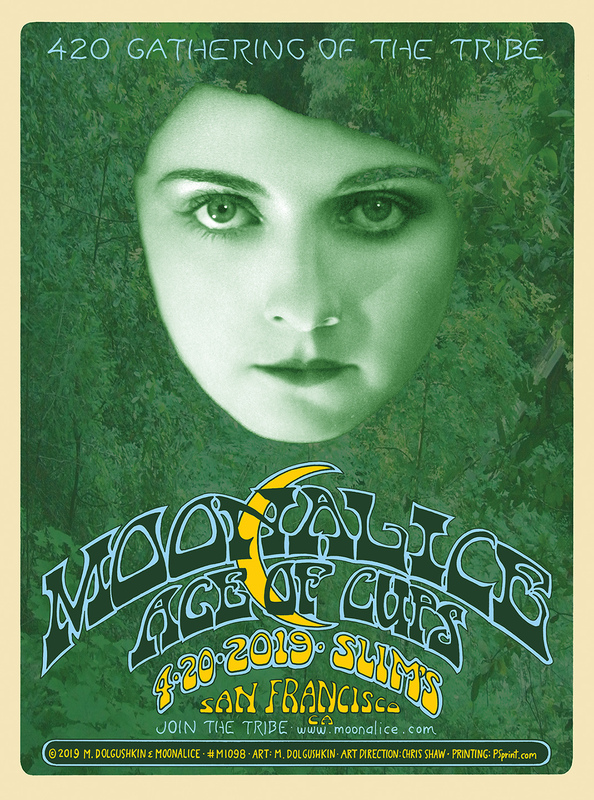 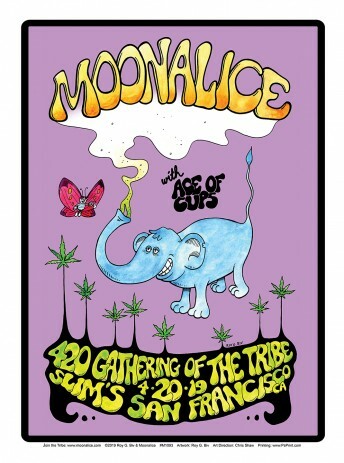 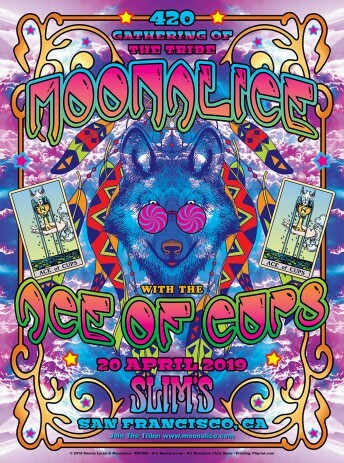 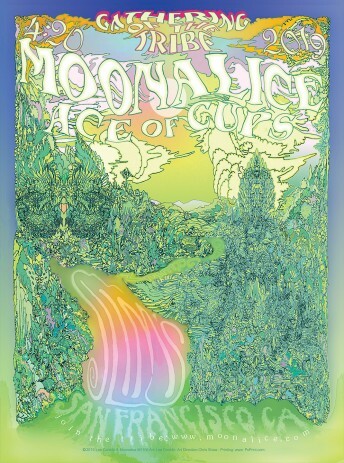 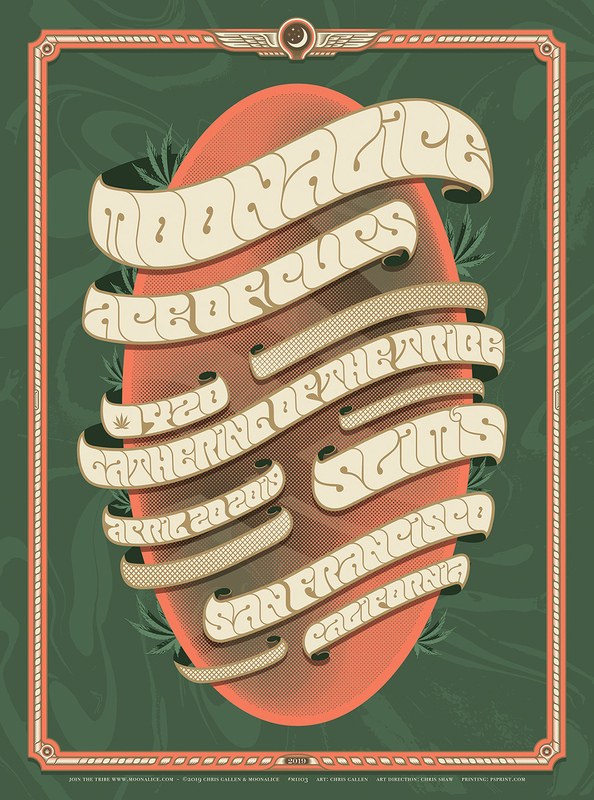 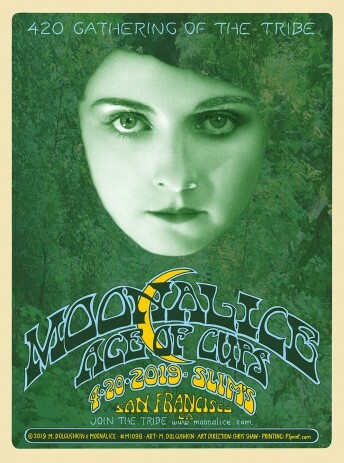 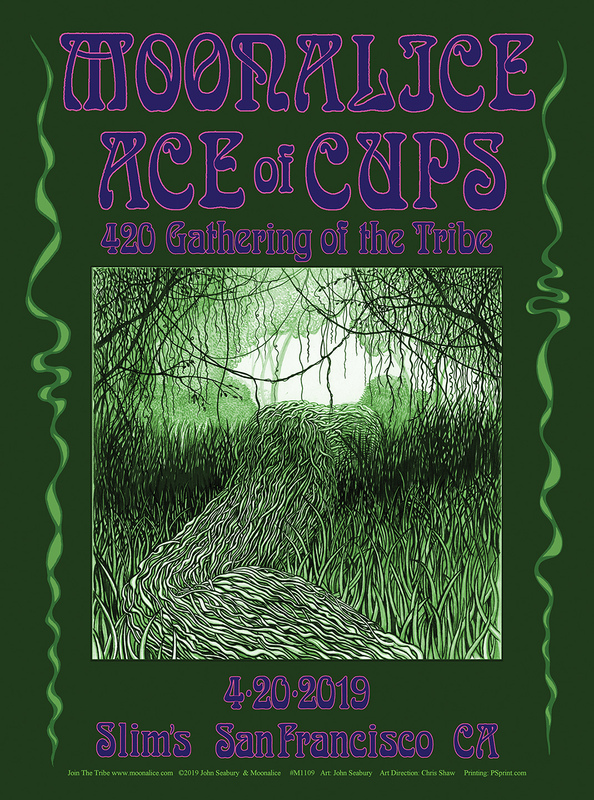 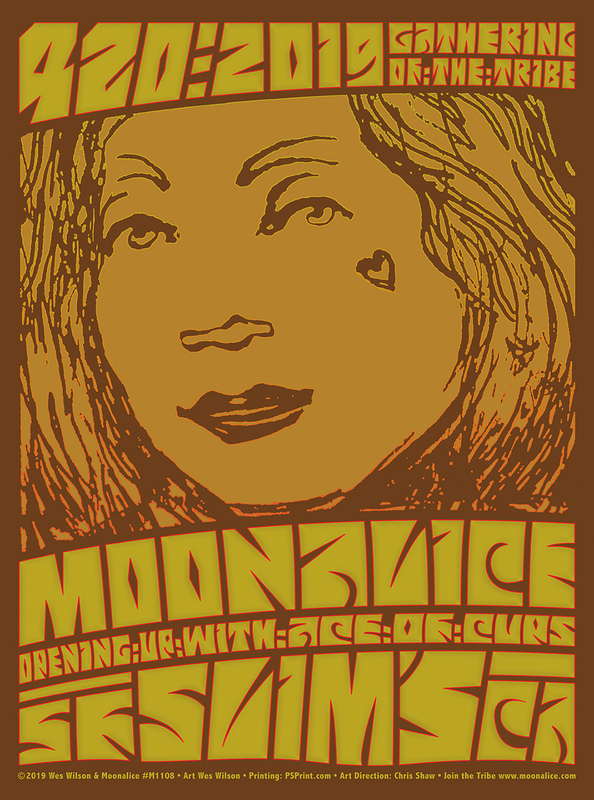 According to Moonalice legend, the Tribe gathers every year around this time to elevate its profile. 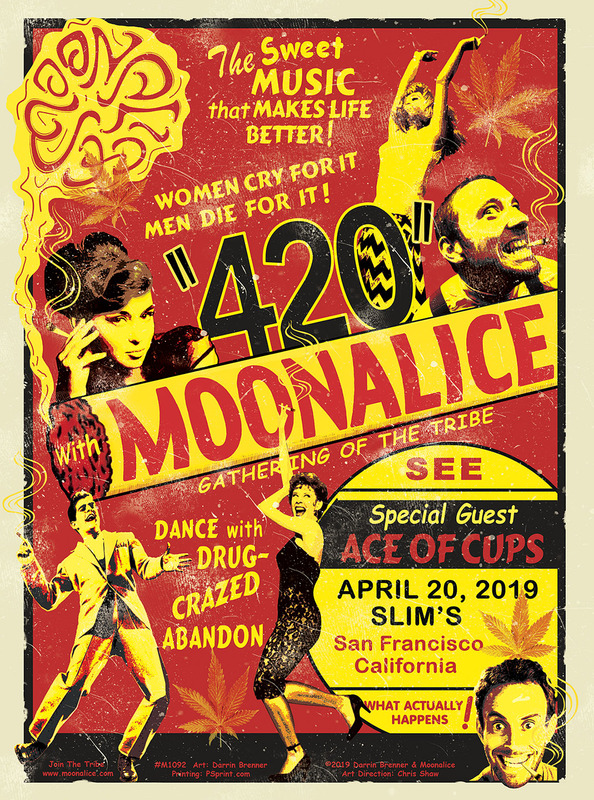 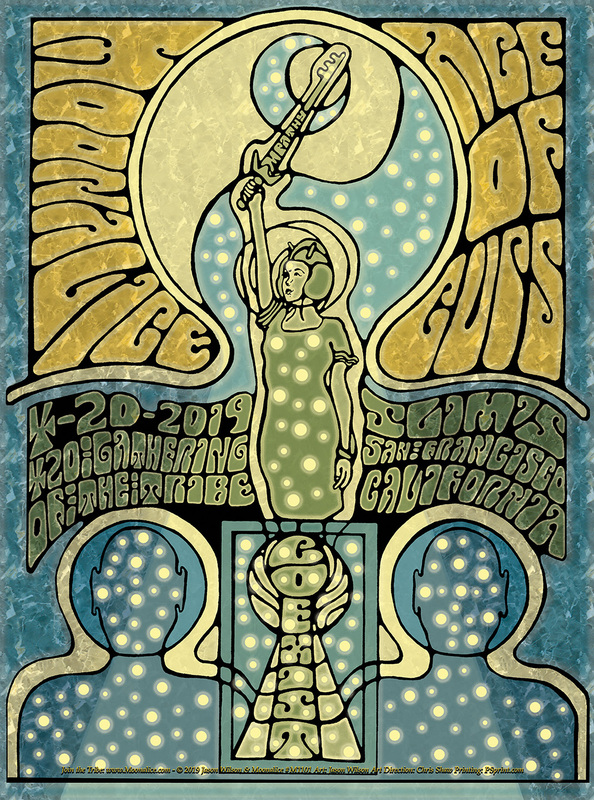 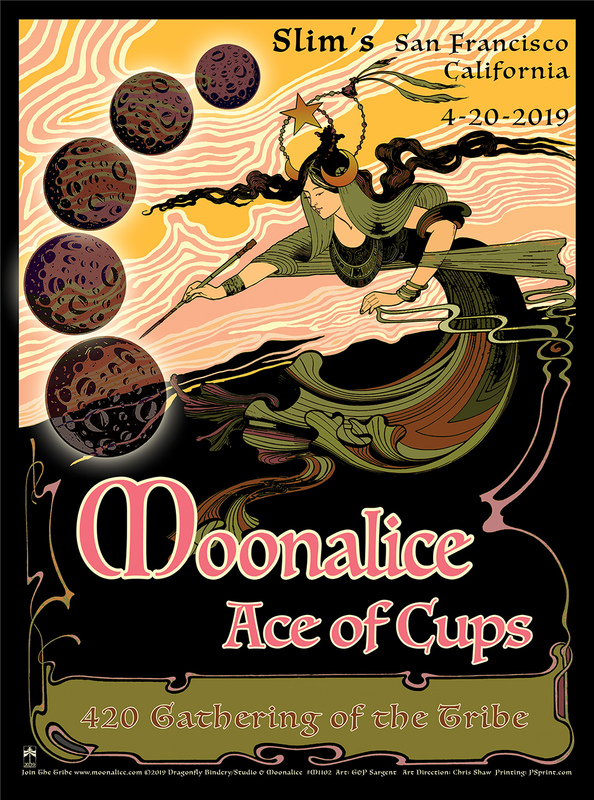 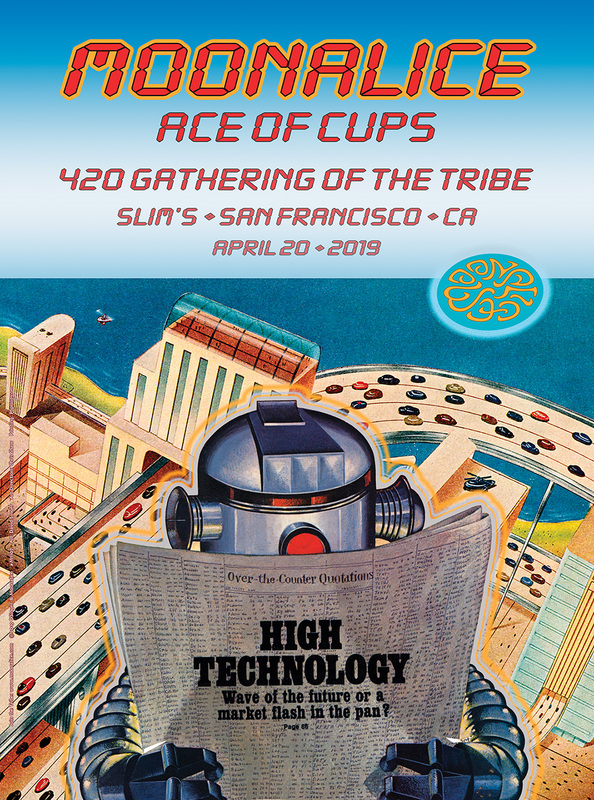 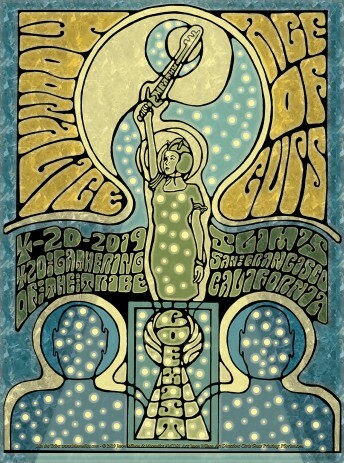 By tradition, we gather here at Slim’s — this is the eighth consecutive year — and we are joined by the amazing Ace of Cups and the equally amazing Lester and Dylan Chambers. There is much to celebrate this year. Let’s start with the big stuff. 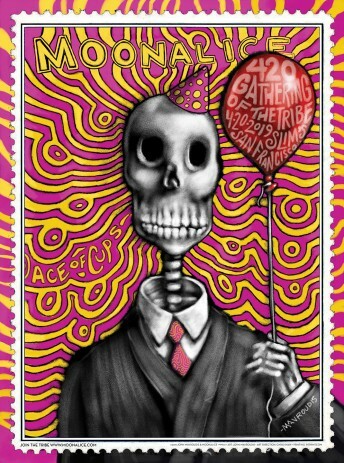 We have all made through a year that has to have been one of the weirdest of our lives. 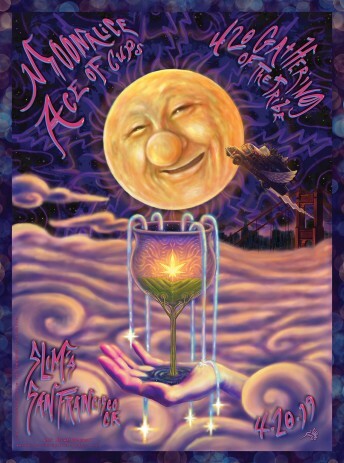 Chris Peterson, John Mavrousis, Darrin Brenner, Jennae Bennett, Mike Dolgushkin, Bill Ham and Emie, Roy G. Biv, and newcomer Chris Gallen. 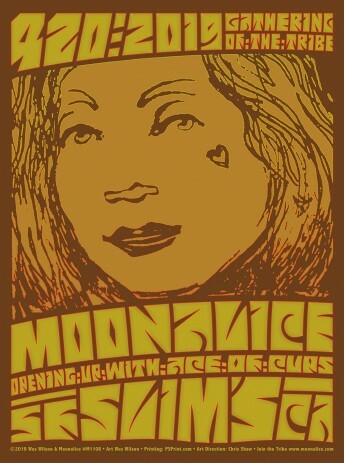 There are also two amazing screen prints that you can buy. 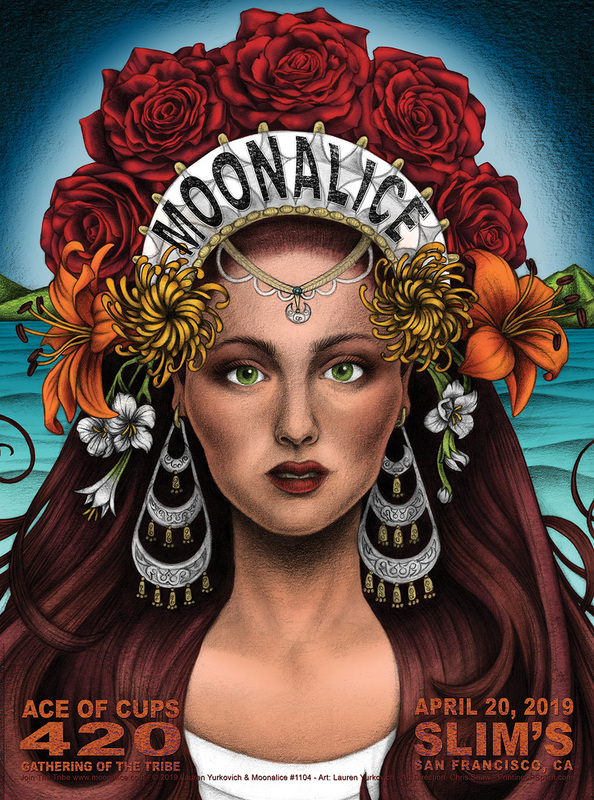 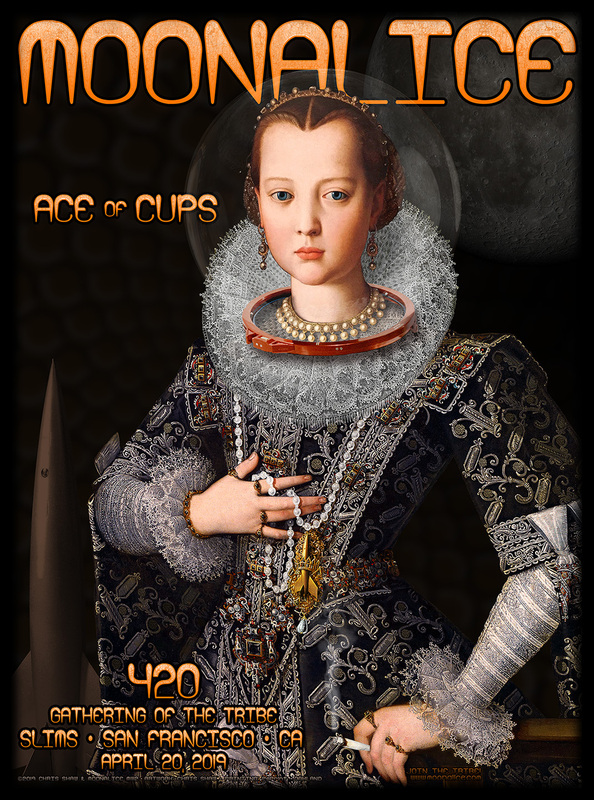 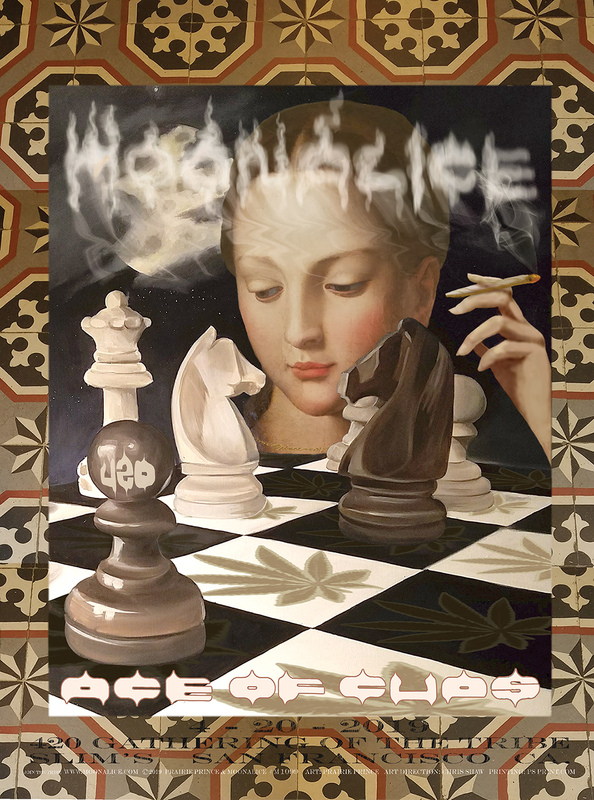 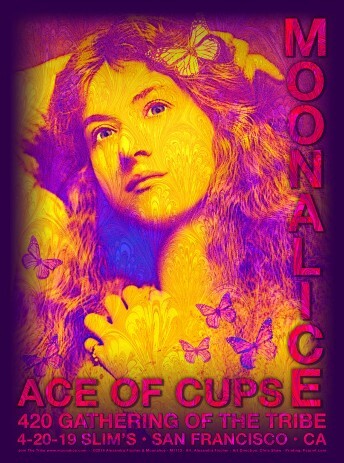 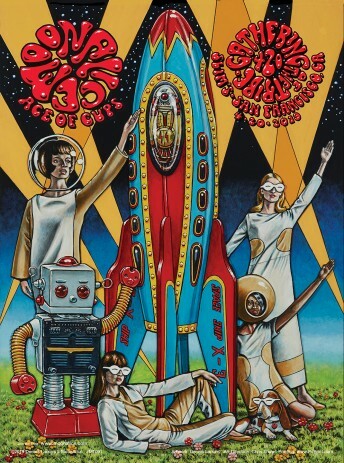 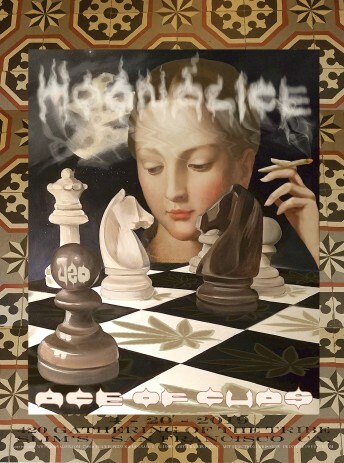 One by Gary Houston and one by Emek, his first for Moonalice. 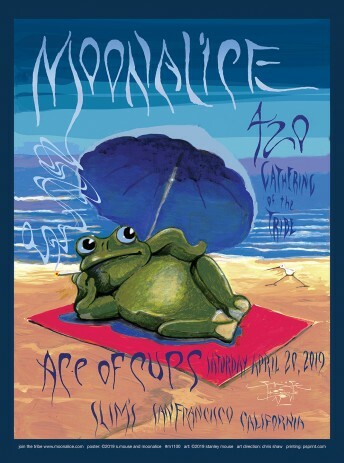 According to Moonalice legend, wombats are marsupials. 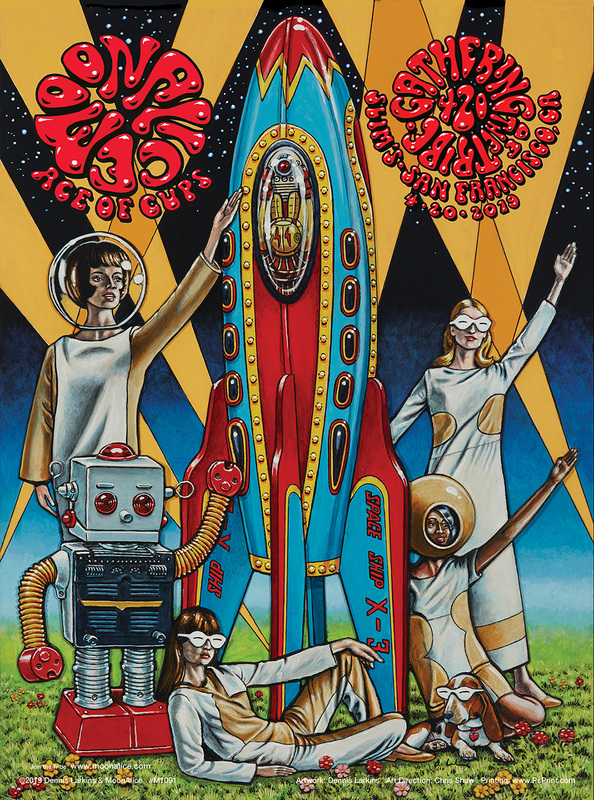 They have pouches for their babies, but as you can see in this screen print by Emek it’s hard to keep the little ones under control. When they smell weed, they make a beeline for it. 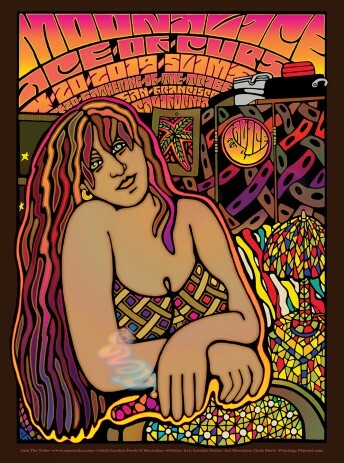 Even the chubby ones. 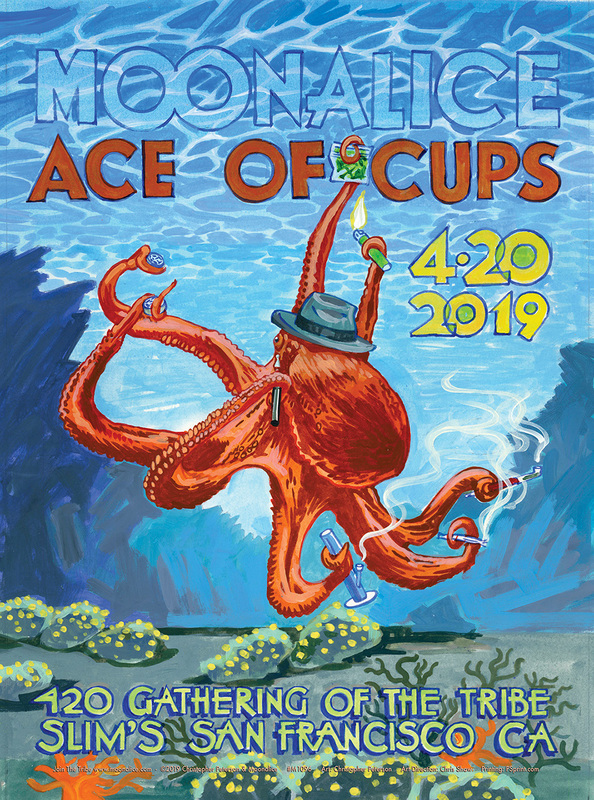 But the reason why the little guy is so fired up is that he knows something that will blow you mind: next year, every day in April will be 4/20!